We live in some funny times, when we are gradually demanding food that is healthier, tastier, more natural – while also being quick, easy, and more fun to make. For most of us, busy lives don’t allow us to spend as much time in the kitchen as we’d want, so it is crucial to find quicker alternatives to long cooking sessions. The solution? Finding recipes that are quick to make, but also smartening up the kitchen so as to save time and efficiency. Luckily, we’ve mustered up a list of some very useful gadgets to transform your kitchen… and your cooking. The Hiku is a small gadget that you fiz to your fridge, and that scans the barcode of things you take out of the fridge. The information is then transferred to your smartphone via wifi. Your virtual shopping basket fills up as you empty your fridge, telling you exactly what you’ll need for your next shop! 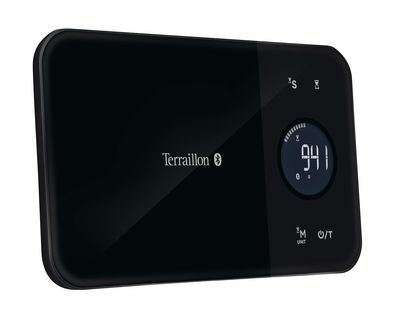 We also like the Terraillon NutriTab connected kitchen scale, which transfers nutritional information of your ingredients to your smartphone, via the Wellness Coach application. Calories, proteins, fats, sugars, you know everything of the food you consume. Apart from connected appliances, funk up your kitchen with little gadgets than make a difference in everyday life. These fun accessories facilitate cooking and often add a touch of design and colour to your interior. Playful and easy to use, they are perfect when you want to invite the kids to test their kitchen hands, if you are not a big kitchen afficionado and want to infuse some fun into cooking, or if you are always looking for those little extras that make your cooking even better. For example, planning to make some creamy tomato sauce pasta? If you’re tired of dry supermarket pasta, make your own with this colourful and easy to use pasta machine from Marcato. After you’ve made your own egg pasta, you’ll never go back! Always cooking too much pasta or not enough? Get this doser/cooker which you can find on Amazon. Perfect for getting portions right, but also if you have different types of pasta – each guest can choose which pasta to have! Get the perfect al dente pasta thanks to a classy kitchen timer, from none other than the Italian master of Designer kitchen accessories, Alessi. Once you have perfectly cooked and dosed pasta, throw some Dolmio Bolognese sauce on top – a perfect time saver, Dolmio gives you authentic tasting, delicious tomato sauce with 100% natural ingredients. Definitely easier than cooking your own traditional Italian sauce, and totally fail-safe. Grate some parmesan on top thank so this sleek Forma cheese grater from our friends at Alessi, and bam, easy, quick and oh so pretty to make pasta meal. 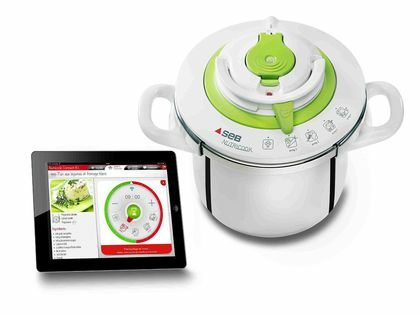 Check out the Alessi page for more designer kitchen gadgets, and check out what your Dolmio sauce is made of here. 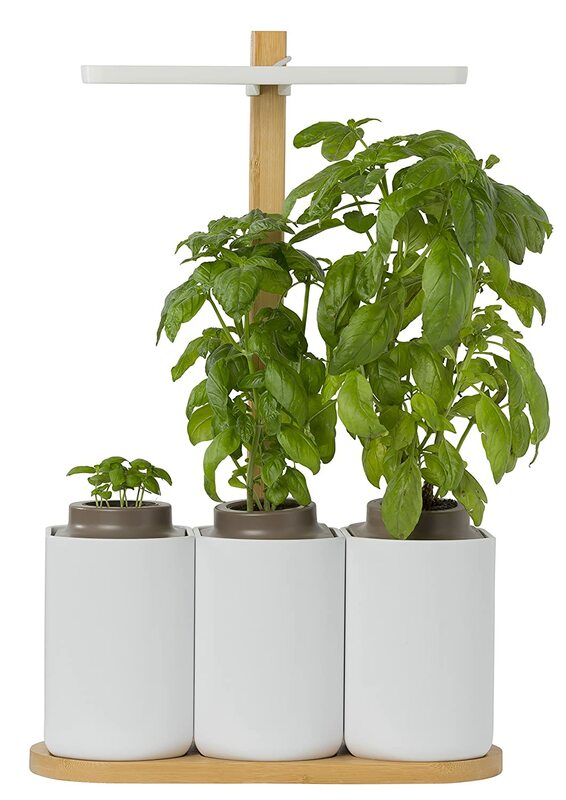 And to always have fresh herbs on hand to decorate and flavour, get your hands on a LILO indoor herb grower. Grow herbs and plants all year long in your kitchen, without effort. You don’t need a balcony or a green thumb: this smart garden cares for your plants, supplying water, light and nutrients. All you need to do is pick!